No one wants a forgettable interior! Give your home the ‘wow’ factor with our stunning bright blooms and bold statement patterns that show off your home to its full potential. 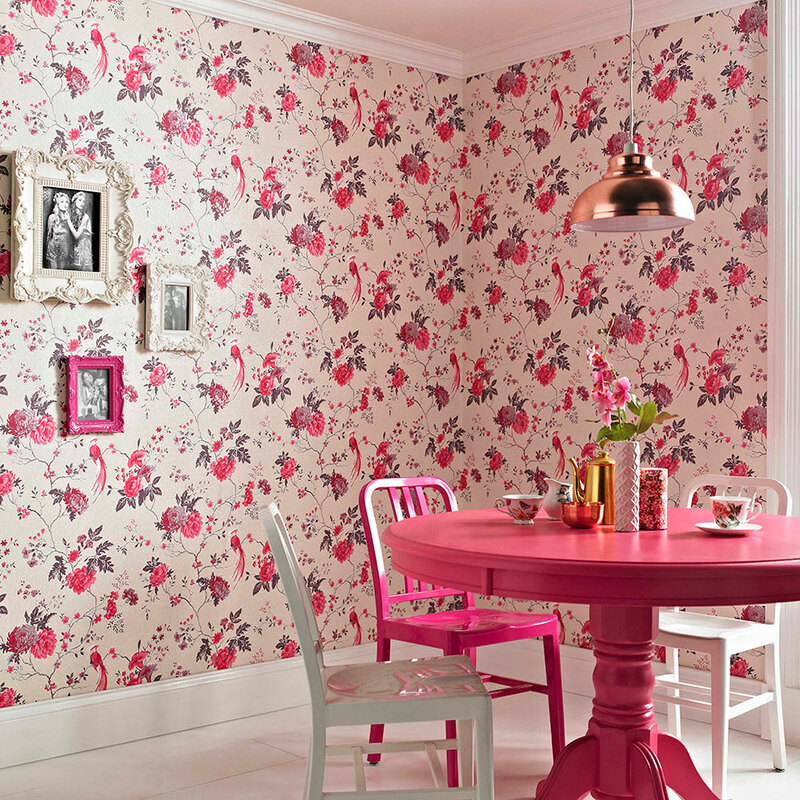 Our Wallpaper of the Year for 2015, Northern Rose, would be a fantastic place to start. With striking pink blooms floating in a sea of blue, this traditional motif is given a modern twist with foil flowers that run alongside each vine. Each leaf and petal has a delicate hand painted look that adds depth with fine detail. A typically British charm radiates from this glorious pattern that would look perfect in any room of the home. For a playful tropical twist, our Exotica Cream/Fuchsia wallpaper creates a stunning effect that is a great choice for communal areas. 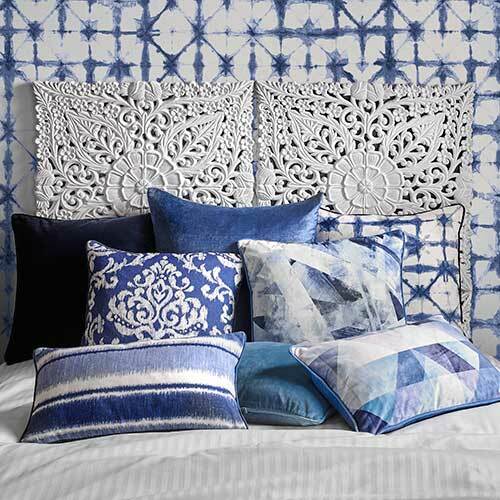 Resembling the delicate patterns found on kimono silks, designer Julien MacDonald has taken inspiration from the orient to produce this gorgeous motif. 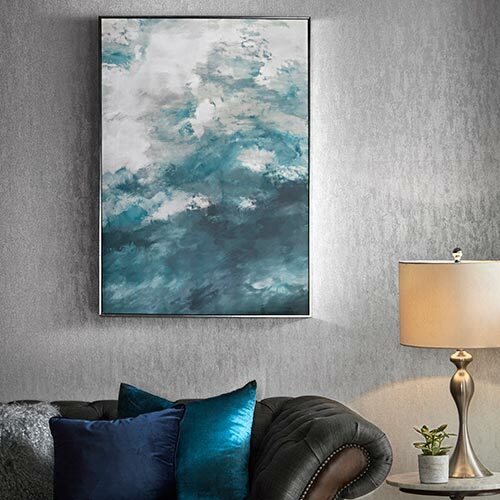 With subtle flecks of glitter that boost its luxury credentials, this textured wallpaper really gives off a decadent feel. Playful, but by no means immature, the pink shades offer sophistication that sweeps through the feathers of each exotic bird and the petals of every floral bloom. Unashamedly vibrant and bursting with style, our Kensington Chartreuse wallpaper is a game changer when it comes to making a statement. Forget gentle colours and pastel palettes, this glorious design illuminates the whole room in its acid bright tone. Instead of focusing on the colour of the flowers, this contrasting pattern turns away from traditional motifs to highlight the delicate shading of each bloom. Upon taking a closer look, you’ll notice a hand drawn finish that allows you to appreciate the subtle shadows in a bright and upbeat room. 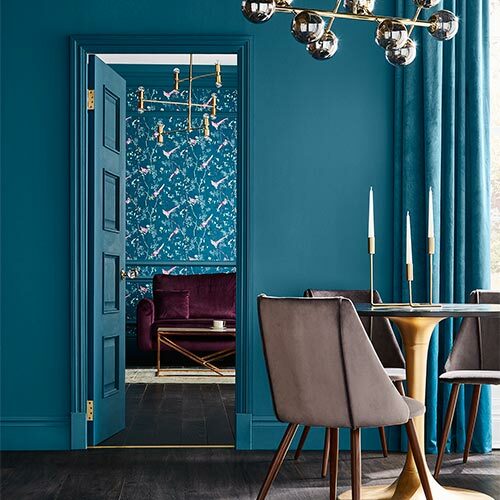 Turn your room into a hub of colour with delicate flecks and flashes of vibrancy that flutter across each wall thanks to our Flutterby Pearl wallpaper. 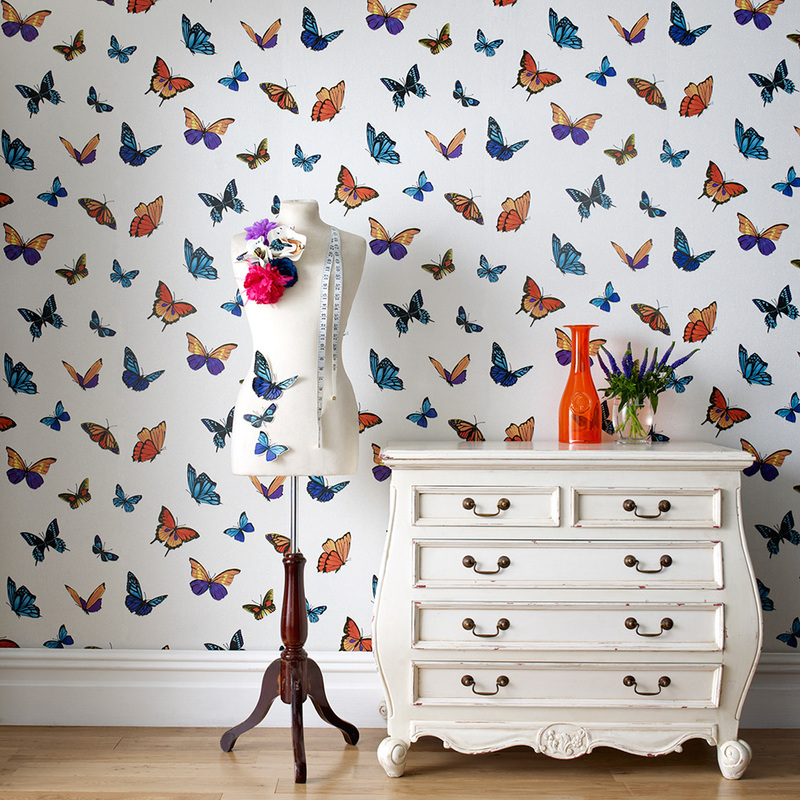 When you spot your first butterfly flying alongside you, you instantly know it’s summer and this wallpaper evokes that feeling every day to lift your spirits. 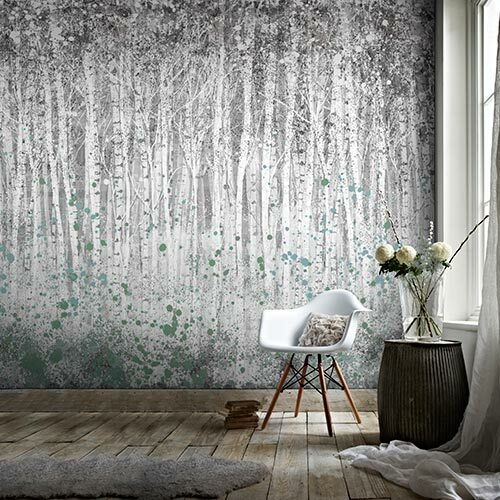 Coating your room in gorgeous colours and subtle embossed glitter, this textured wallpaper gathers a mixture of trends to create a new style of its very own. 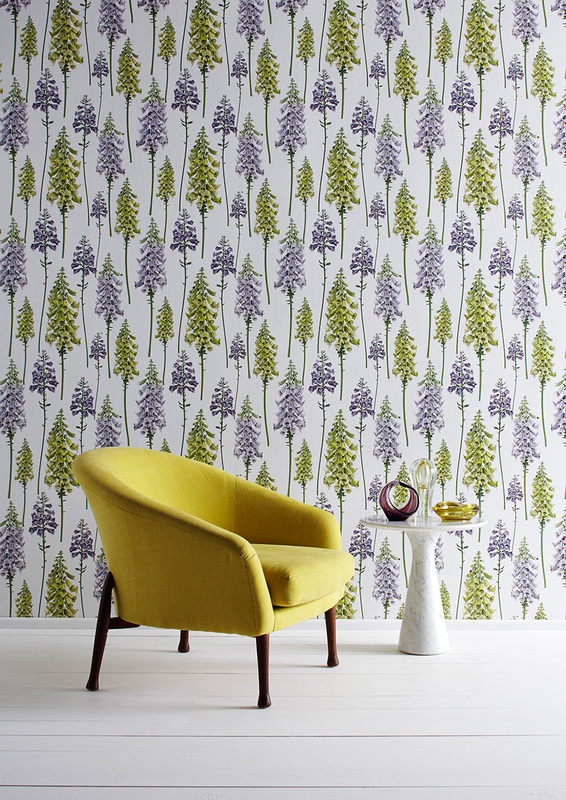 Designed by Lucinda Abell, the fine drawings of each towering flower and tiny buzzing bees in this Foxglove Lilac/Lime wallpaper reflect years of fine art practise. Much like Kensington Chartreuse, the beauty of this design doesn’t just lie in the bright colours. Take a closer look at this floral wonder and you’ll be able to appreciate the intricate shading and pencil work that has gone into creating this botanical beauty. With lime and lilac washing over each illustration, this pattern pops away from the walls to add just a touch of playful colour. Perfect for those still afraid to let loose and cover their walls in audacious shades, this gorgeous garden-inspired wallpaper invites nature indoors to really brighten up your home. That’s exactly what you want to be doing in the spring months.